A new innovative worksurface. 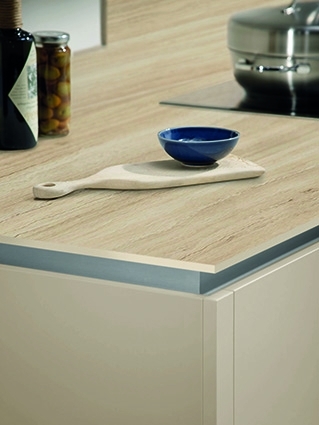 Compact laminate in an ultra-slim 12.5mm thickness and solid coloured core. Evolve provides a striking, cutting-edge design statement. The new Evolve range comprises 15 bold designs which have been matched with one of five principal, solid core colours. White, cream, light grey, dark grey and extra black. 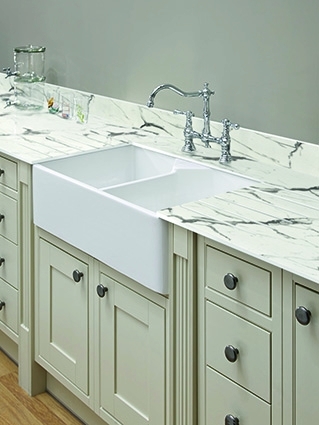 A matched core colour means perfectly contrasting drainer grooves and machine-cut edges for undermount sinks. 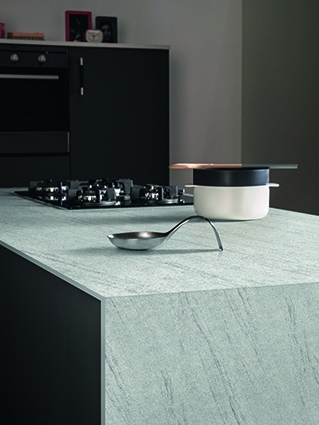 Evolve surfaces have a sharp square edge profile which has been designed to give an authentic, slab like appearance. Clean-cut and smart. 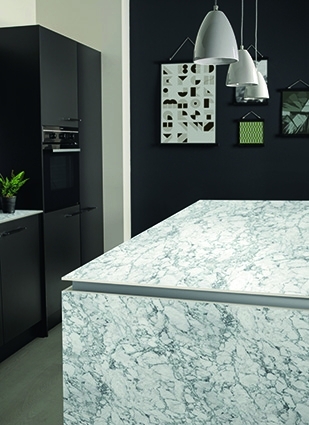 Our brand new worksurfaces can be shaped on-site thanks to their solid coloured core and ease of cut. 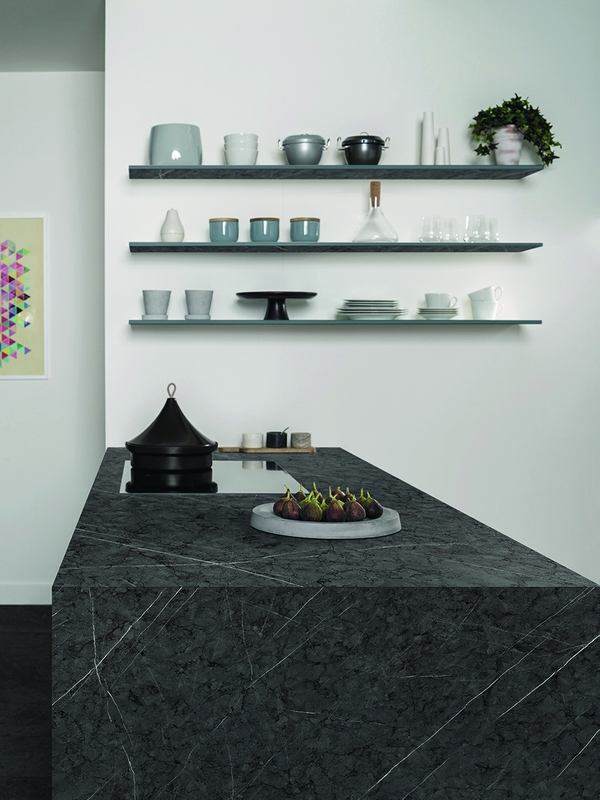 With a double-sided decorative surface incorporating fabulous designs and textures that you have come to expect from Bushboard, Evolve is even more versatile than a traditional laminate kitchen surface as well as being 100% waterproof.